The world is constantly changing. In the past, businesses thrived when they created a single new product or idea and brought it to market. Today, though, business thrive by adapting to and adopting best practices that are constantly evolving and changing. One thing is for certain, if you stay still or rest on your laurels, you will fail. The world of training and employee development is also evolving. 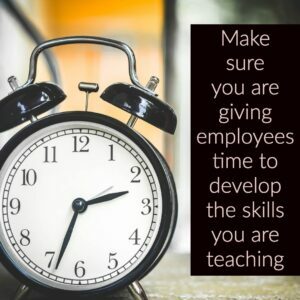 If you are training and developing your employees the same way that you did 20 years ago, 10 years ago, heck, even just a couple years ago, you are likely falling behind many of your competitors. In this episode, we are going to delve into some modern examples of training and development programs for employees. We could call this 2019 Training and Development Models, and the title would be quite descriptive. About five years ago, my instructors and I created a series of videos for our website that would help people reduce public speaking fear. The first video was an example of our training methods and how having a good coach can shorten the learning curve dramatically. The second video was about fear and nervousness. It specifically focused on where the nervousness comes from and how to lessen the fear. The final video was a little different. It focused on the different types of training and development programs out in the world that can help with the pros and cons of each. A month or so ago, we decided to update and modernize these videos. (By the way, they are all available on our homepage at www.fearlesspresentations.com.) When we began to update the last video, we were all shocked at how much had changed in the training industry in just a couple of years. Below are some of the ideas and results of our research. If you want your employees to learn a new skill or strengthen a current skill, in-person training is still the best method. Yes, this is not necessarily "modern", but it is still the best method in 2019. However, the way that this type of training and development is led is critical. The old-fashioned way to train people is to set everyone in a lecture hall or boardroom and bombard them with lots of information and hope some of it "sticks." Over the years, we have figured out some modern examples of how to get a much better result, though. Lecture style education programs have a very low success record. People learn by doing, not by sitting and hearing. 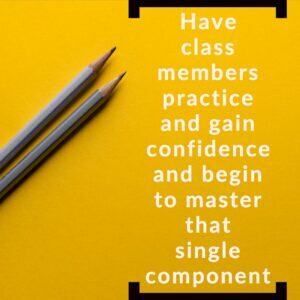 For instance, in the Fearless Presentations ® we teach class members a step-by-step process that is easy to apply. We make the process even easier by teaching a single component or idea, have the class members practice and develop confidence in that concept, and begin to master that single component. Then we add something new, and do the process again. After a series of these successes, our participants gain confidence very quickly. If they were just sitting and listening to a speaker for two days, that wouldn't happen. We got a call this week from a non-profit in Dallas who was organizing a leadership development program for their employees and volunteers. She wanted our instructors to help her team become better presenters. She had already organized the training into nine monthly one-day sessions. So, she wanted us to send an instructor out for to conduct an hour or two of training, once a month, for nine straight months. we had to tell her that this would be a complete waste of everyone's time and her organization's money. First of all, if we limit a training sessions to just a single hour, in order to build in practice, we will only be able to cover a small amount of content each session. Second, if the sessions are spaced a month apart, the employees will forget a lot of the content in between sessions. As a result, we would need to review (re-teach) concepts from the last session each time. Finally, (and most importantly for a non-profit,) that type of training is very costly. When you hire a professional speaker, for the most part, whether the person is speaking for one hour, two hours, a half-day, or a full day, the fee doesn't change a whole lot. So, to have the professional speaker just speak for that short a period of time is a waste. Many of the good event planners have figured this out. Quite often, now, when I go to teach breakout sessions at conventions, the organizers will have me deliver two and sometimes three sessions in a single morning or afternoon. We also often get executives from companies who will call us to train their team and say, "It's really difficult to get the entire team together. So, we'd like the training to take place in just a half-day session." To really train teams effectively, in a half-day session, you can really only help them develop two to three key ideas or concepts. So, as long as you limit the scope of the training and give your employees time to develop each skill, you can get a good result. If you try to cover too much in too short a period of time, the training will fail. This is where things get interesting, because this is where things have changed so dramatically in the last few years. 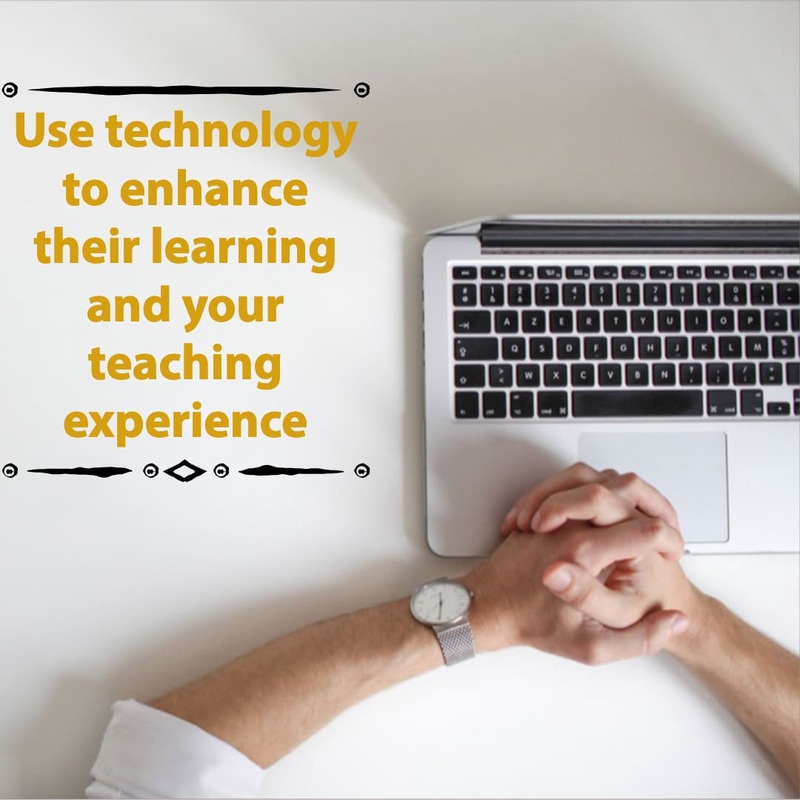 Technology can help you increase the retention and application of your training exponentially. In fact, in many cases, technology can fix each of the challenges from the previous examples. For instance, one of the things that we have done recently in our classes is move away from printed manuals (we still give them to class members, but many are now choosing not to use them). Our entire Fearless Presentations ® class along with all of the activities is online. So, instead of hand-writing notes and items during the activities in class, participants enter their data into forms on our app. The data gets stored and the electronic elves behind the scenes send out completed visuals for the class members. This saves a tremendous amount of class time and also documents the progress of each class members, so he or she can review the content at a later time as a refresher. The best part about this process, though, is on the corporate side. When companies hire us to conduct training and development programs for their employees, the HR person or executive can track everyone's progress and document the results. Technology has solved a lot of old-fashioned training and development problems. 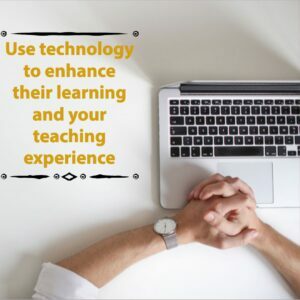 In addition, for situations like the non-profit with limited time and limited budget, technology along with classroom training can also solve some challenges. What we proposed to this executive was to couple the short classroom training sessions with self-paced online training in between each session. These interim sessions will only be made available to each employee during a certain time frame -- for instance, they get access to a new session every week. In addition, the sessions can only be accessed if the employee has completed the prior session. This takes a lot of the "teaching" out of the classroom session and lets the instructor spend almost all of that time letting the class members practice under the coaching and supervision of the trainer. This is an incredible time-save and increases retention dramatically. It also fixes the challenge of having the sessions spaced too far apart. Each online session reviews the previous content to increase retention in that way as well. Finally, the "we only have a half-day" problem can be helped as well. For instance, we can setup a webinar a week before the half-day session to introduce the content. We can give assignments to the group based on the content. This way, during the in-person classroom training, you can maximize the time available by reinforcing content from the webinar and coaching participants in their application. You could also add in a few online follow-up sessions. Then, finish with a concluding webinar. All total, the team will only be spending about six hours in group training sessions, but they will be able to develop weeks worth of practical experience with the content. The point is that 2019 is a fabulous time for training and development of employees. With so many options available for training your employees, you can be creative and make your sessions fantastic. In the next session, we will talk more specifically about how to use online training sessions more effectively for your team.